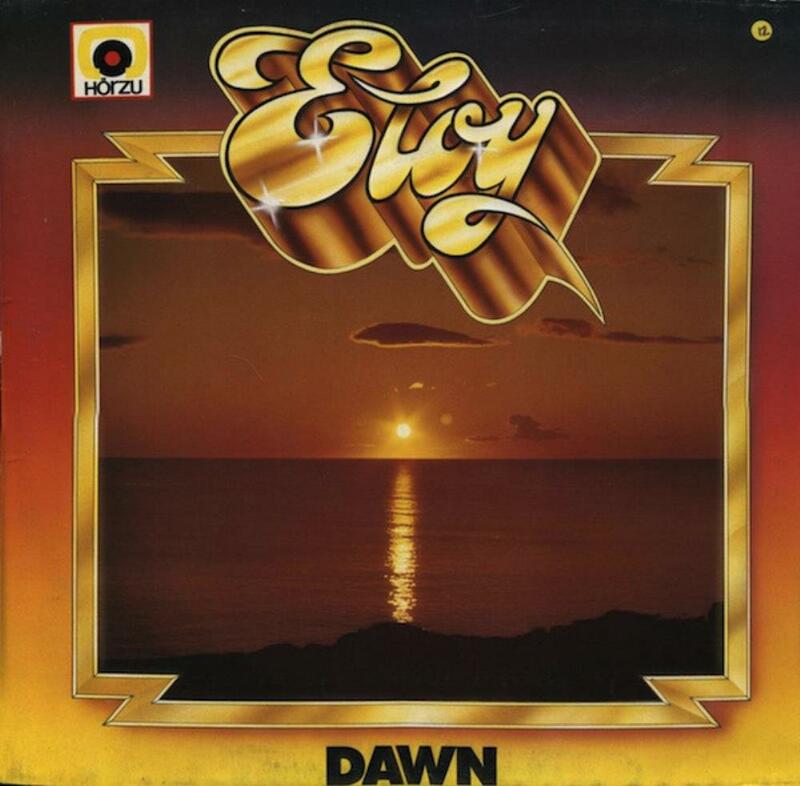 First album with the classic Bornemann / Matziol / Schimdtchen / (ex-SCORPIONS) Rosenthal line-up, "Dawn" marks the beginning of what many consider as ELOY's golden era. The music is still a mix of space and progressive symphonic rock, but incorporates more and more keyboards and bass, whereas the initial hard rock roots are less present. The band begins to refine its personnality. Furthermore, the production is significantly improved compared to their previous opus. As in "Power and the Passion", the record is an alternance of rather short tracks with various ambiances. This time, the symphonic aspect is enhanced by the usage of an orchestra. The soft "Awakening" is an introduction to "Between The Times", a 70's heavy rock riff with peaceful moments. "The Sun Song" is one of the weakest song, as it is slow and too long. One the contrary, "The Dance In Doubt And Fear" is my favorite track of this record. This was the first ELOY song I heard. The bass line is simply irresistible. The pleasant "Lost!?" suite also features a galoping bass, this time with more keyboards and a touch of PINK FLOYD. Another remarkable track, "The Midnight Fight / The Victory Of Mental Force" is quite energic and trippy. Unfortunately, the optimism decreases a little with the ending tracks. "Gliding Into Light And Knowledge" and "Le Réveil Du Soleil / The Dawn" are calm, ambient but a bit too long.